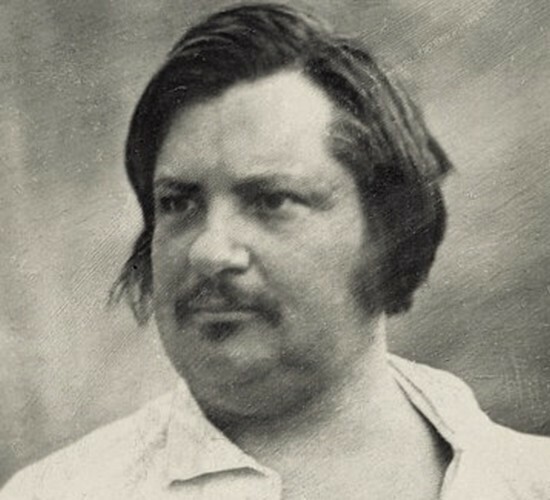 French writer and playwright Honore de Balzac allegedly drank up to 50 cups of coffee per day. Hearing that number sheds some light on how he was able to write 85 novels before the age of 51. NOTE: I AM NOT RECOMMENDING THAT YOU DRINK 50 CUPS OF COFFEE A DAY. As someone who used to practically live in a coffee shop, working 10-hour shifts Monday through Friday, I can tell you that that much coffee can turn into a not-so-fun time very quickly. (I’ve found that if I yo-yo my coffee consumption, having days where I drink 0-1 cups, my tolerance stays low enough that I don’t need the 12 shots of espresso I used to have during those shifts). One thing Balzac’s coffee craze shows us is the link between coffee consumption and success. Historically, employers encouraged factory workers to drink coffee in the morning and at lunch to keep their stamina stead through long, arduous work days. There’s also a reason every office or company or business has a break room with a coffee maker in it. Coffee tends to have a positive effect on productivity. There are intuitively obvious reasons why coffee can increase one’s success. It wakes your brain up, meaning you can engage in creativity and problem-solve much more readily and efficiently, and for longer (if you don’t overdo it and fry your brain with caffeine). It stimulates your brain so you can come up with more ideas more quickly and get more tasks done in a shorter amount of time. There are reasons writers and freelancers make their temporary workspaces in coffee-shops–the readily available and unending supply of liquid stimulation. Coffee can also contribute to success in other ways. Some suggest that the stimulation from caffeine releases more adrenaline in your body, and can make you more physically active/capable. For me, this makes my typing fingers whir in a tornado of composition, but it also means that when I’m working from home and drinking coffee, I get up and do dishes or laundry or go for a short walk every once in awhile. These types of breaks have a few benefits. The exercise contributes to your physical, mental, and emotional health. Taking breaks is proven to enhance productivity because you’re not staring at the same screen consistently, your brain gets some time to refresh and reload. The caffeine gives you energy so that these breaks are spent still being productive; I find that if my breaks include cleaning or running errands to get necessary tasks completed, I am better motivated to continue working than if I just watched an episode of House of Cards or scrolled through Facebook. Coffee also has recently been proving to have a variety of health benefits, besides making you more physically active. It lowers your risk of things like liver disease and type 2 diabetes. If you are living a longer, healthier life, you have more opportunity to get more done and to achieve more goals. Coffee’s link with success also comes from the higher cognitive abilities coffee enables. Coffee blocks inhibitors in the brain. It doesn’t only give your body energy; it gives your brain energy. If you drink a moderate amount of coffee daily, or if you drink it when working on projects or, tasks or creative endeavors, you’ll be able to think more quickly on your feet, remember things more readily and easily, and learning, problem-solving, and your critical thinking skills will be enhanced. Coffee has been shown to have other benefits on the brain, as well. In addition to lowering your risk of things like liver disease and type 2 diabetes, coffee has been linked with lower risk of diseases like Alzheimer’s and Parkinson’s. Your cognitive function could be prolonged from drinking coffee, again giving you more time to accomplish all the things! One of the strongest inhibitors to success is depression; it diminishes motivation and confidence making you feel like you can’t do anything, but even if you could it wouldn’t be any good. Depression is more complicated than that, of course, and affects people differently. The people at Harvard have found that drinking coffee lowers people’s chances of suicide by almost 50% and can reduce your chances of being depressed or having a depression about by approximately 10%. Some believe that it is the caffeine that has the mood-improving effect; indeed, one of the most common side effects of depression is decreased energy and coffee helps that. Going along with this, experts have found that people who drink coffee tend to have better energy–as in personality–and that they tend to be funnier and enjoyable to work with. They may be more likely to work well on a team as well as being more outgoing and engaging. I am an omnivert with social anxiety that has me tending toward introversion most of the time; I have discovered my link between coffee consumption and social ability. I tend to go for a caffeine boost when I know a social situation is coming up for me or I feel my social energy draining. I discovered this working as a barista on shifts that had me up before 5 am; I would be the world’s worst enemy all the way up until I had those first two shots of espresso and then I was the customer servant of my manager’s dreams. I enjoyed people’s company more, and they enjoyed me. The Harvard people also attribute the lower depression to coffee’s natural antioxidants. Obesity can have similar adverse effects on a person’s success, because of lowered energy, increased risk of life-threatening diseases and negative societal stereotypes. Caffeine is a natural fat-burner that has been shown to boost your metabolism anywhere from 3 to 11 % and increase your body’s ability to burn fat by 10-29%. It is not that obese people cannot be successful, it’s just that people who don’t struggle with obesity and its related complications tend to be more successful. This is, again, contingent on what you put in your coffee; just because you put two shots of espresso in your caramel frappe with whipped cream and caramel drizzle does not mean that that fat-burning caffeine is going to erase all those extra calories. Most, if not all of these studies, emphasize their use of black coffee. Finally, coffee drinkers have been shown to earn more money than non-coffee or tea-drinkers, and they tend to be higher achievers. The study that showed that they make more money attributed this to their higher likelihood to show up to work on time more often; the boost in cognitive abilities and personality, combined with promptness are more likely to get you that promotion and raise. Coffee drinkers tend to be able to achieve more because they don’t have to build their energy in the morning slowly; they down that fresh cup of black brew or those morning espresso shots and they are ready to conquer the day and meet their goals immediately. So, the next time your coffee-shunning friend complains that their career is just not taking off the way they want to, pour them a cup of your favorite coffee and make sure they thank you especially in their first memoir!